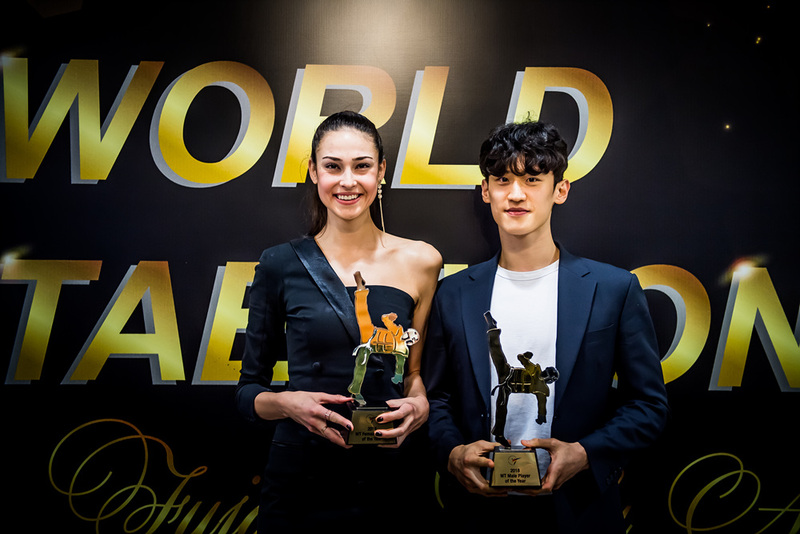 FUJAIRAH, UAE (Nov 23, 2018) –Turkey’s Irem Yaman was named Female Player of the Year and Korea’s Dae-hoon Lee was named Male Player of the Year as World Taekwondo honored its top players and personalities at the 5th Annual Gala Awards Show, which took place in ritzy surroundings at the Fujairah National Theater. He also gave his thanks to the host, Fujairah Crown Prince Mohammed bin Hamad bin Mohammed Al Sharqi who has sponsored the Grand-Prix Final, which conclude today, and the upcoming World Team Championships which take place over the next two days. 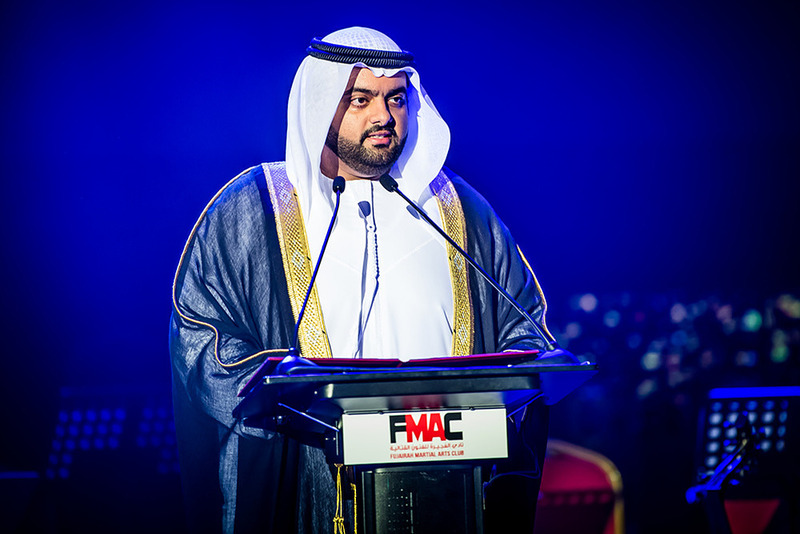 Fujairah Crown Prince addressed “Let me take you back a couple of years when we first started with a small group of excited students who took an interest in trying a new sport -taking baby steps with them, seeing them sweat, train, win and lose,” he recalled. “We have started a program to prepare and train an Olympic champion who will represent UAE in the near future.” He thanked Choue and the WT team for guiding Fujairah in this process. 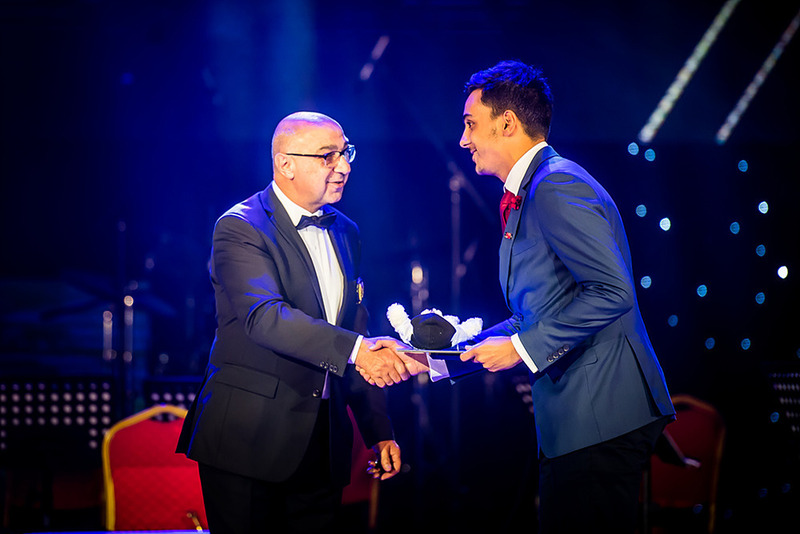 A short film to mark WT’s 45th anniversary was shown and between the awards, artists from the Fujairah Fine Arts Academy entertained the audience with music – Arabic and Classical – and dance. 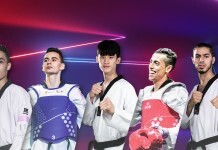 The MNA (Member National Association) of the Year award, presented to the MNA which has done the most to promote taekwondo in its country and region, was awarded to two MNAs: UAE, host of the Grand-Prix Finals, and Italy, which this year started hosting a new Grand-Prix, in Rome, and which also oversaw a taekwondo demonstration at the Vatican, attended by Pope Francis. 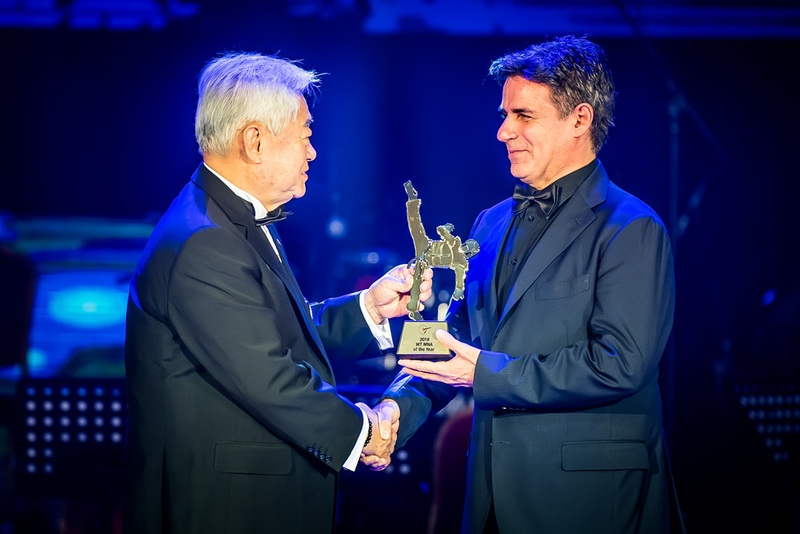 IOC Member Ivan Dibos presented the Coach of the Year award to Turkey’s Ali Sahin, who has overseen the growth of Turkish taekwondo, notably its world-beating women’s team. The Kick of the Year award was won once again by perennial crowd favorite Aaron Cook of Moldova, for a series of multiple, machine-gun round kicks. 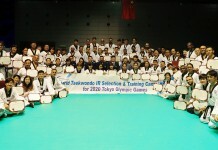 The award was to be presented by WT Vice President Kyu-seok Lee. 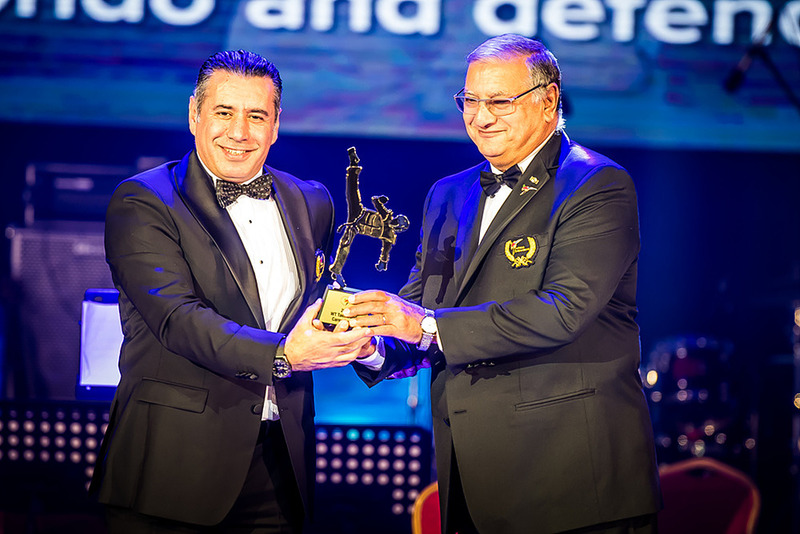 The first-ever Taekwondo Cares Award was presented by WT Vice President Ahmed Fouly to Hazem Ahmad Awwad Naimat of Jordan for his contributions to the Taekwondo Humanitarian Foundation’s Azraq Taekwondo Academy. 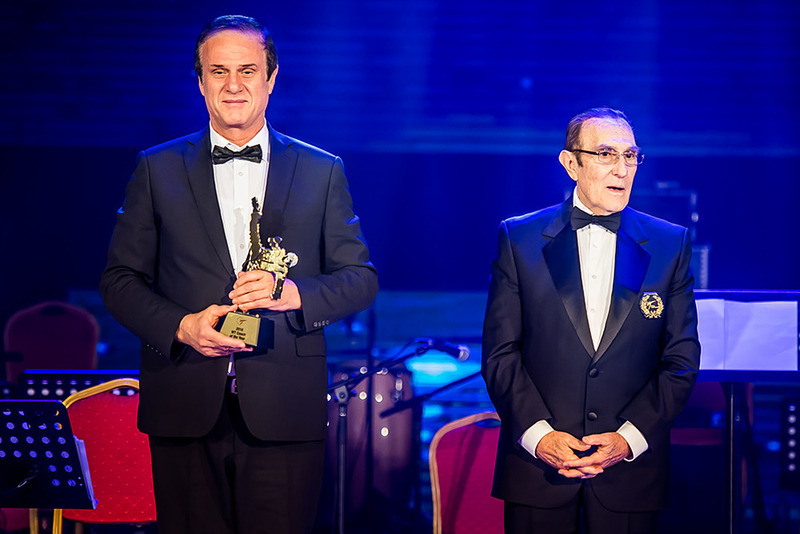 WT Vice President John Kotsifas presented the Grand-Prix Final Best Volunteer Award to Mohamed Khaled. 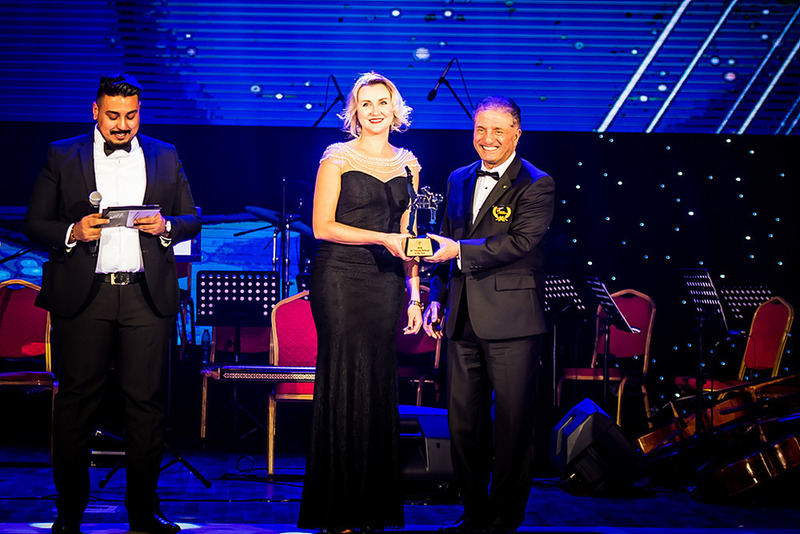 The Female Player of the Year award was presented by Choue to Turkey’s Irem “The Gold Hunter” Yaman. “I am so excited…this year was a really good year for me, thank you everybody and thank you to my team. 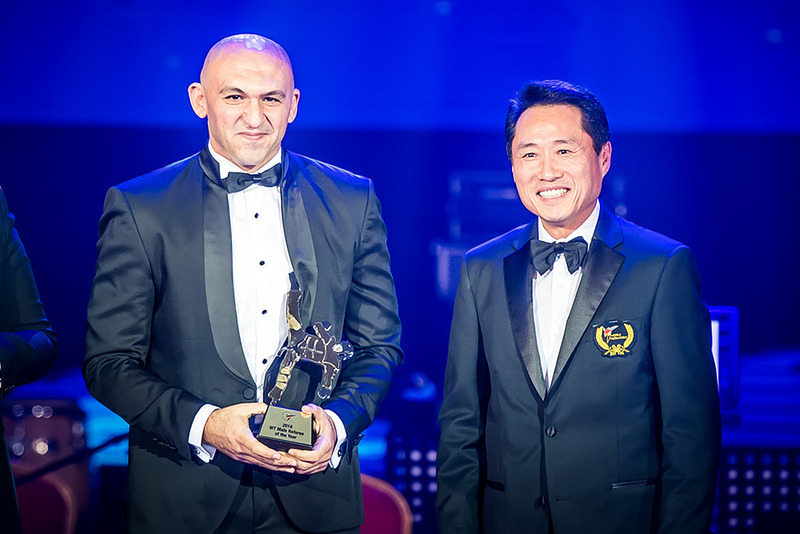 “ The Best Player award will join Yaman’s increasingly packed trophy cabinet which includes gold medals from the Grand Prix, the Grand Slam, the European Championships and the World Championships. 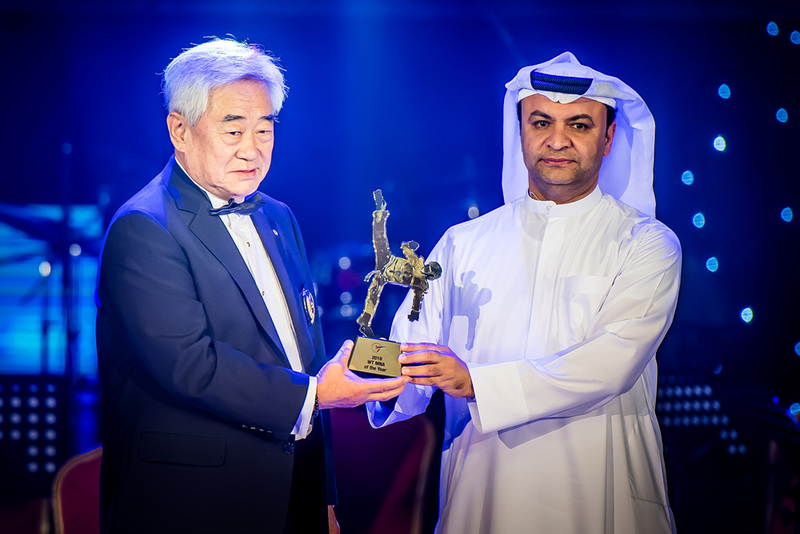 The Male Player of the Year award was presented by UAE Taekwondo President Ahmed AlZeyoudi to Dae-hoon Lee of Korea. The phenomenal Lee, a human kicking machine, is not only the most dominant player in the sport, he has such a nice-guy person that he has won the Male Player of the Year award four times. It was a double good day for Lee, who had earlier won the Grand Prix Final title with a staggering 65 points. 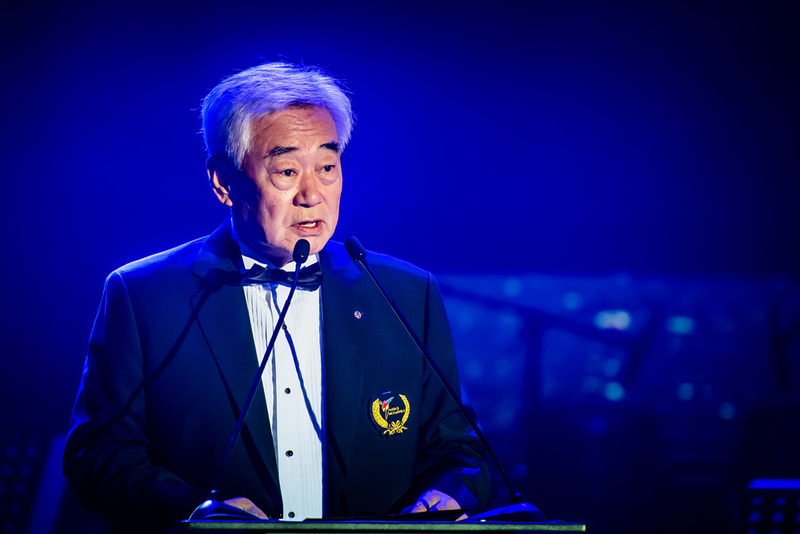 “Thank you World Taekwondo, thank you for everyone, thank you to Team Korea I am so happy to be here – it’s beautiful!” he said as he accepted the award. 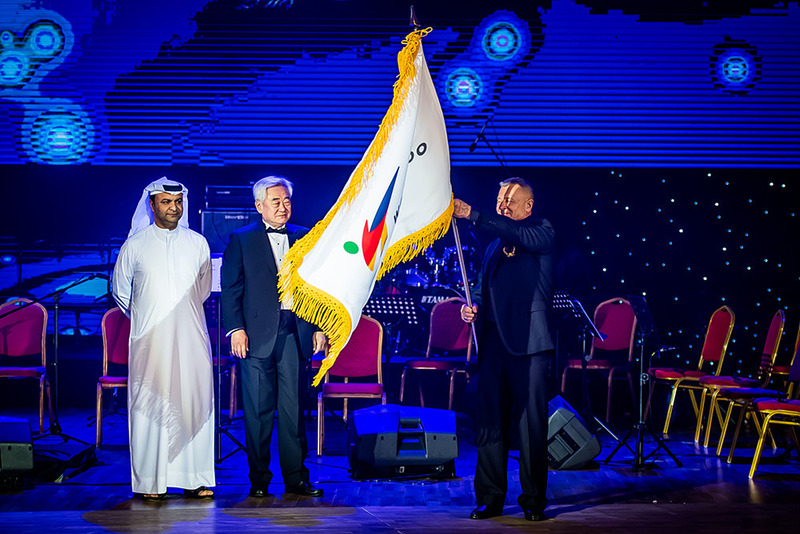 The Gala Awards ended with the WT banner being passed from representatives of the UAE Taekwondo Federation to the Russian Taekwondo Federation, which will host next year’s Grand-Prix Final. For more photos of the 5th Annual Gala Awards click here.